Charlotte N.C. – Dec. 18, 2017 – Assessment leader Apperson is offering a free 90-day trial of its new assessment management solution for higher education, DataLink Ascend. DataLink Ascend combines high-speed scanning with a cloud-based platform to score exams, report, analyze and communicate results, and facilitate online testing. To request a free 90-day trial, visit www.apperson.com/datalink-ascend. Instructors can use DataLink Ascend to create assessments that align with learning outcomes. They can administer the tests online, or they can scan in paper answer sheets and immediately analyze that data in the cloud. It saves time and provides valuable information to help schools improve outcomes for students. Apperson’s testing and assessment solutions combine the proven reliability of scanning technology with powerful reporting and analytical software to measure and drive student success. 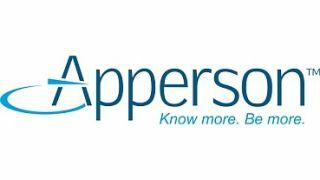 Apperson provides testing products for all schools’ needs, from kindergarten to higher education. The company’s DataLink Connect and Ascend software applications change lives for the better, saving teachers’ time by aiding with the grading and learning process. These solutions help to marry technology to raw data, resulting in informed decision-making for educators that improve student performance and success. For more information, visit Apperson.com.